Something seems fishy at the Gilbert Hall of Science. Could be they’re expecting the arrival of the new Aquarium Car! 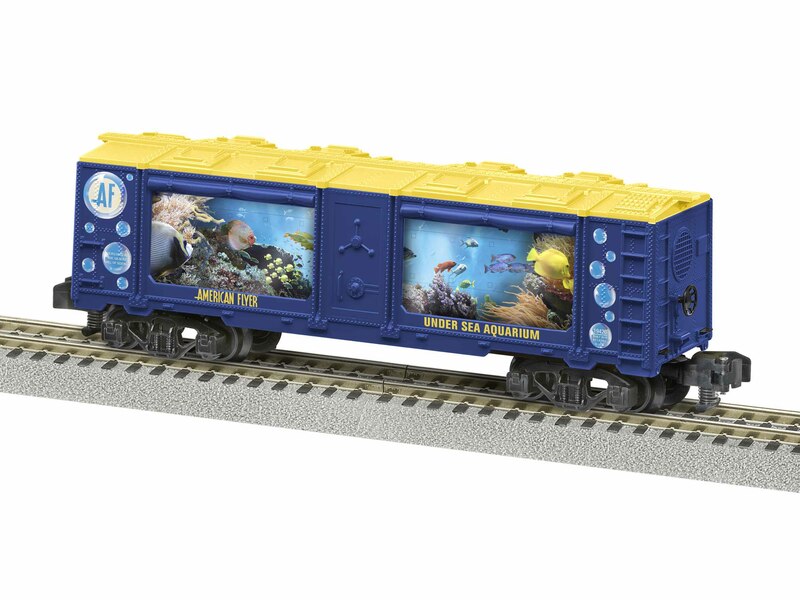 After the introduction of the new American Flyer aquarium car last year, fans have been asking for a traditional aquarium version and this is sure to please. Tropical fish "swim" around the tank on a motor-driven belt.